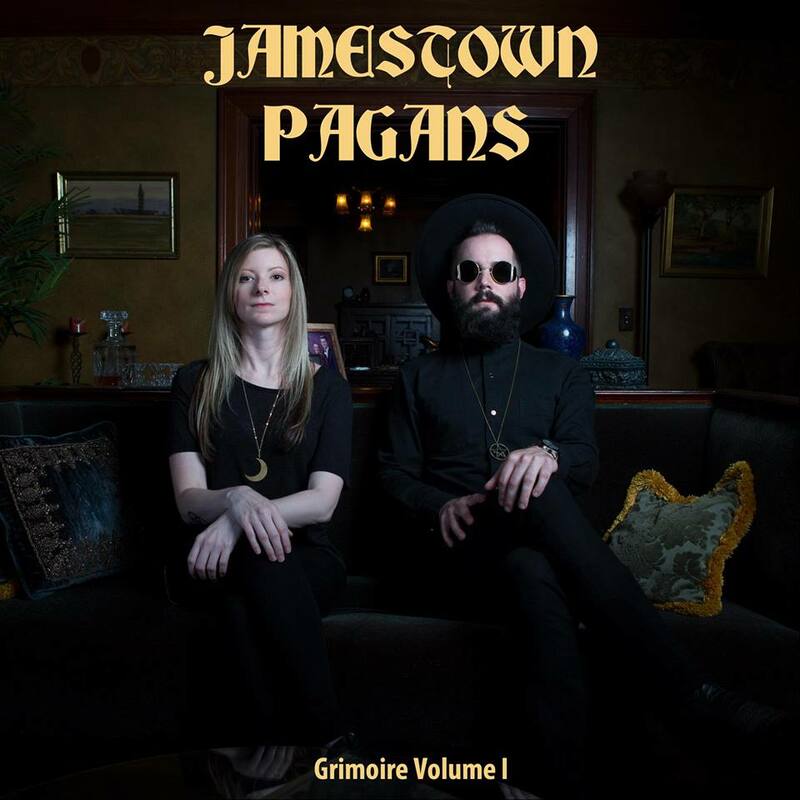 Jamestown Pagans is quite a unique band with the form of music they create, the band introducing their particular brand of music with their debut album Grimoire Vol. I. 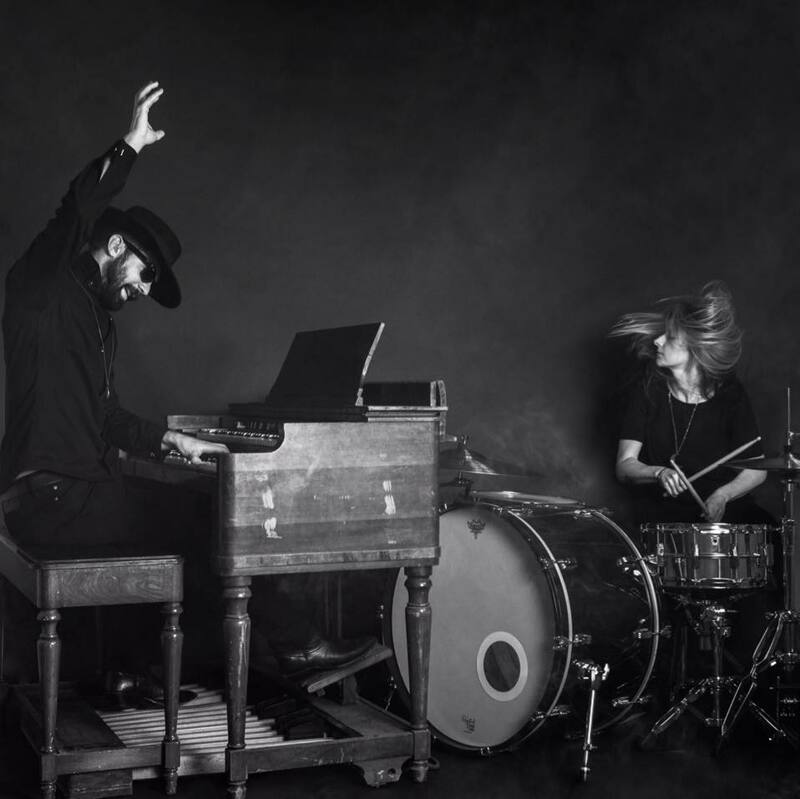 This electric duo features the talents of drummer Megan Mullins, of High Priestess, alongside Christopher Hurt (vocals, organ, mellotron). Both come together to craft a powerfully resonate and gripping musical landscape reminiscent of classic horror. The music within this uniquely tempered debut falls into the same musical spectrum you’d recognize from bands such as Ghost. At times it’s practically jaunty and vibrant (“Golden Throne”) while also creating a very “circus-tenty” atmosphere (“Bloody Mary”). This is where the tonal similarities to Ghost come into play; the major focus on organ work formulates a macabre atmosphere while also providing the means for despairing qualities (“In The Name Of”). To put it shortly, Jamestown Pagans plays in the same ballpark as Ghost without the gimmicky qualities or the overly melodramatic pop-horror. That goes a long way with this style of music, the greater focus on the musical imagery brings forth a more satisfying and longer-lasting appeal. One of the key factors within Grimoire Vol. I is the heavy focus on melody and rhythm, the strong rhythms throughout become elevated by the masterfully tight drum work of Megan Mullins. There’s a very strong, disciplined quality within the percussive workings which forms a very uniform, highly catchy melodic quality all throughout the record. The drum work provides as strong of a backbone as they come, which allows the highly rhythmic nature of the music within Grimoire Vol. I to shine with a very focused light. 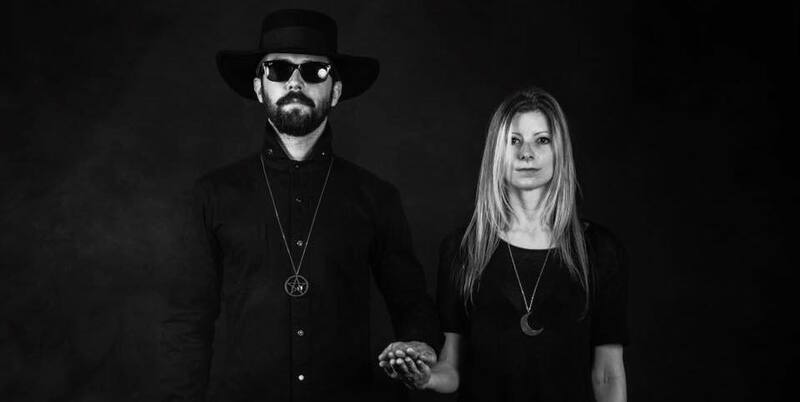 This isn’t to say that Jamestown Pagans doesn’t play with poppy-horror elements; the track “Bloody Mary” is a prime example of an upbeat horror-centric track. Jamestown Pagans provides a very peculiar rhythm with this song that intrigues in a bizarre fashion. There’s a very strong, marching-beat, underlying “Bloody Mary”, which in turn creates a powerful rhythm that formulates a powerful foundation for the melodies to play off of. The same could also be said for most of the tracks on the album, the powerful percussive rhythms forming a powerful backbone for each and every song to build off of. With no exaggeration intended, the final track “Medusa” may be one of the most beautiful songs I’ve ever heard. The track initially opens as a soft ballad before slipping into an ethereally divine chorus of angelic proportion. “Medusa” oozes a soft, yet overwhelming benevolence which wastes no times in seeping straight into your heart and soul. It’s spiritually uplifting and downright beautiful, It is truly divine in every sense of the word. Angelic in nature and heavenly in execution, spiritually comforting and enlightening, “Medusa” will bring even the most atheistic heart to a spiritual well-being, at least until the track reaches its end. Overall, Grimoire Vol. I is a rare musical journey that explores a fresher side of the standard “dark-worship” formulas often seen in modern metal. This is something we’ve become familiar with from bands like Ghost, yet Jamestown Pagans takes these same ideas and explores them with greater dynamic. Grimoire Vol. I is a must listen for those already familiar with their style of play as well as those unfamiliar with this specific brand of music. Grimoire Vol. I marks a strong debut in this young band’s career, the only thing more exciting than their debut is the thought of what more they can bring in their future.